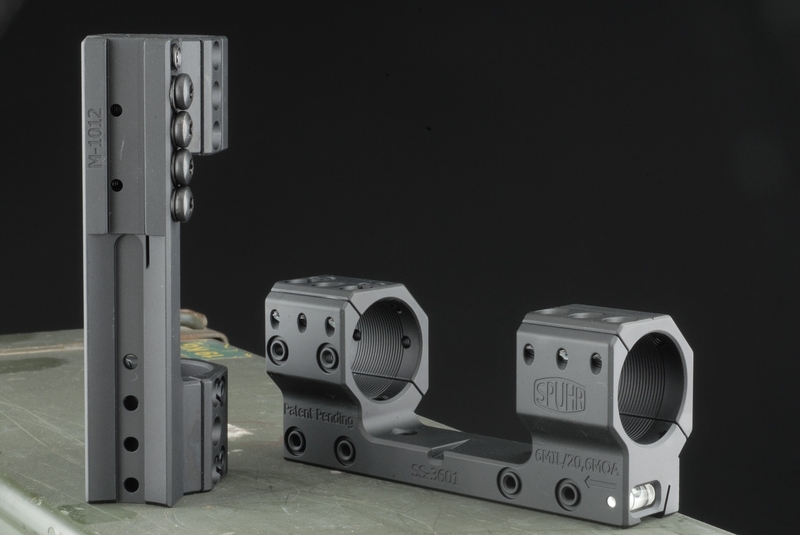 SPUHR Mount for Accuracy International Rifles - $549.00 : Tactical Imports Corp. Extremely sturdy scope mount, with possibility to attach multiple optical accessories directly to the mount. Built-in level. 45 degree split of the rings gives better view of the knobs. 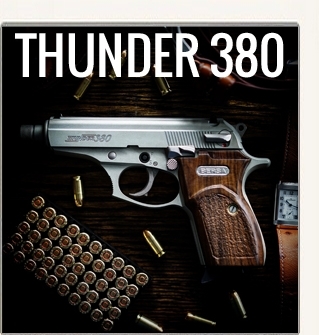 In use by multiple militaries and special forces units across the globe. Ships in 10 business days. DurabilitySolid, one piece design prevents damage to scopes due to flexing during heavy recoil or rough environments. The mount is milled out of one billet of material instead of being screwed together of small parts. Rings are grooved on the inside to provide a better grip of the scope and enabling gluing if desired. 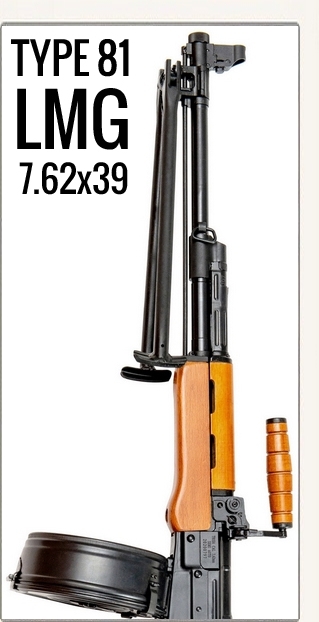 Rated for use with .50 BMG. Scope RotationPatent pending solution for indexing the rotation of the scope, using an included tool/gauge to index the scope correctly to the mount and gun. Important since a incorrectly indexed scope will also have a sideways adjusted point of impact. Mounting PlacementsTraditionally lasers have been mounted on the forend of the rifle, a solution with drawbacks. 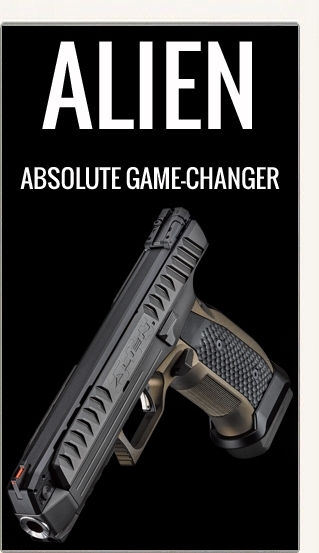 For the same reasons you don’t want your barrel to touch the forend you don´t want the sights to be mounted on the forend. The mounting system have minimum seven interfaces for accessories and the laser can easily be mounted on the mount. This provides the advantage of an undisturbed laser and the weight more central on the gun instead of forward. 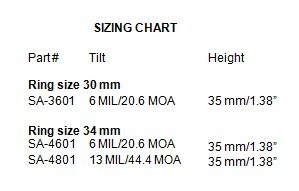 TiltMounts can be delivered in various tilts. The tilt is clearly engraved on the mount, in both MIL and MOA. 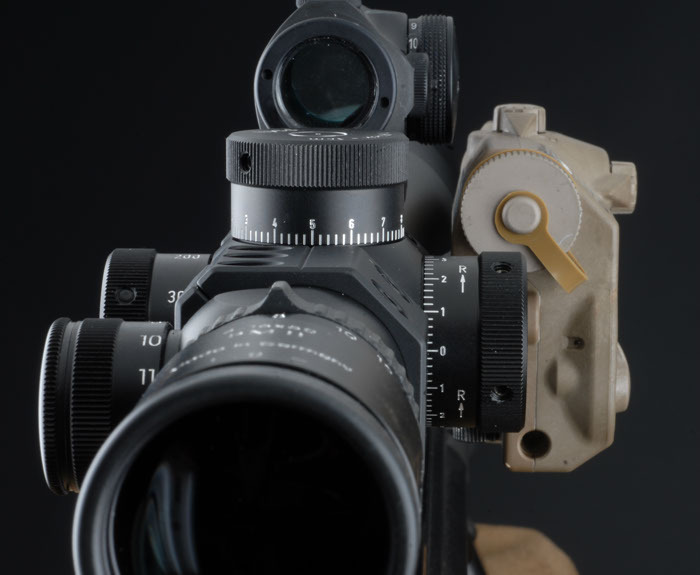 AccessoriesPossibility of using various accessories such as angle cosine indicator, back up sights, lasers, illuminators, Night vision mounts etc. With traditional mounts this can be achieved only if there is sufficient space on the middle tube for additional rings, which there rarely is. 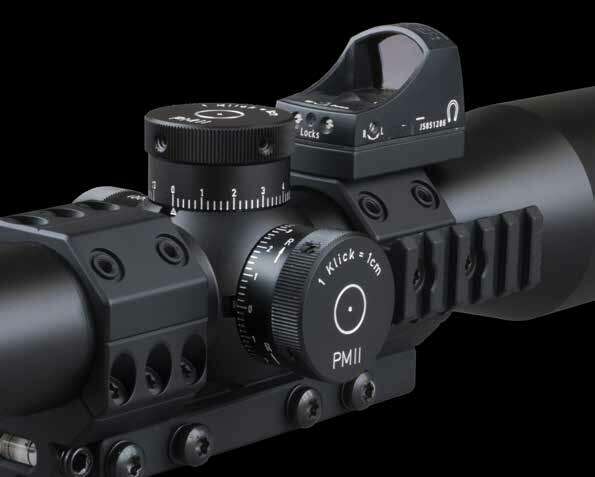 Ideal Scope Mount System have interface surfaces directly on the mount, making it possible to mount accessories either by Picatinny rails or as direct interfaces for certain accessories as angle cosine indicators and red dot sights. A selection of interfaces for popular accessories are available, and others can be made to specification. 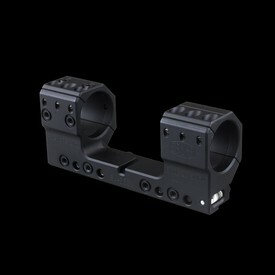 LevelThe sight mount has an integral level included inside the mount. Ensuring the rifle is level for each shot is critical in maintaining long-distance accuracy. The location of the bubble allows for the shooter to check level without changing cheekweld.